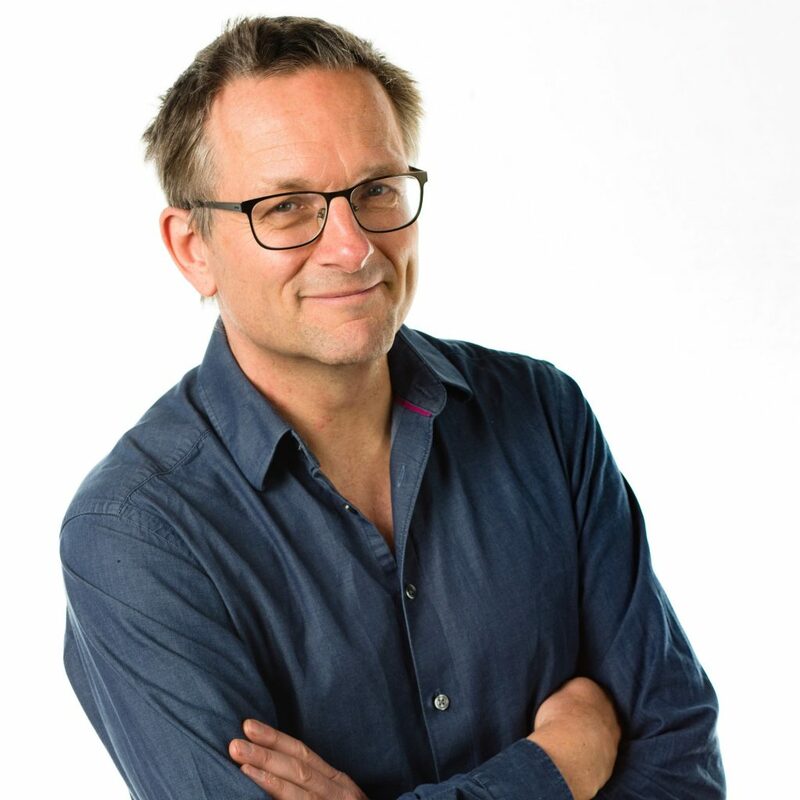 Michael Mosley studied medicine in London and qualified as a doctor but for the last 25 years he’s been working as a documentary maker and an award winning science journalist. He initially moved into TV to produce a science series with John Cleese and Robert Winston. Since then he has become best known as a presenter – and author of the million-selling 5:2 Fast Diet and Fast Exercise books. His programmes have won an RTS, an Emmy and he was named ‘medical journalist of the year’ by the British Medical Association for a ground-breaking programme on Helicobacter pylori, the bacteria that cause stomach ulcers. On BBC TV’s Trust Me I’m a Doctor, Michael investigates the latest evidence behind health claims and headlines – for instance, whether sugar is really the new tobacco, how much is too much alcohol and whether we should worry about air pollution. He has also set up big experiments looking at the benefits of eating oily fish, whether cooking with turmeric can help prevent cancer and how to increase our levels of vitamin D.